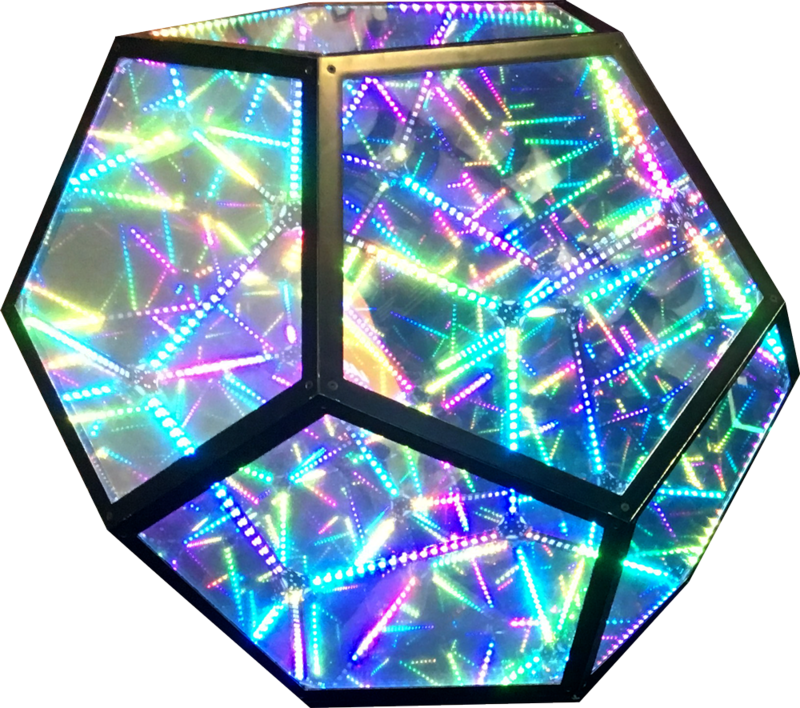 Unit-e introduces the Luxehedron™, an interactive decoration for the home, special events, festivals, and anywhere else a giant glowing portal is required. 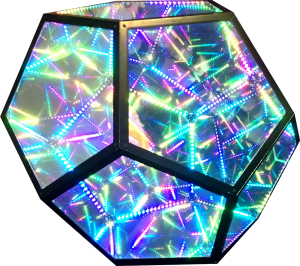 The base model features 2 modes: pre-set colorful animations, and interactive animations based on any music you connect (via Unit-e’s Color Chord™ technology). Both modes are powered by the Lightshow Controller (integrated, but also available separately to power other lighting projects). RGBY lighted ornament with mounting base. 24″ in diameter. RGBY lighted ornament with mounting pedestal. 24″ in diameter. RGBY lighted ornament with integrated mono speakers (2 units recommended). RGBY lighted ornament with integrated stereo sound system. 24″ in diameter. Different shapes, sizes, and configurations available. Enquire below for a quote.